Vertebroplasty is considered one of the most effective ways of helping to stabilize a spinal fracture and reduce the pain associated with it. It’s more minimally invasive than most people realize. In fact, the entire procedure is performed through a small puncture made on the skin. If you’re booked in for a vertebroplasty, or are considering having one, here’s some helpful information. As the procedure is only minimally invasive, it’s unlikely to take longer than an hour. The treatment is completely pain-free; as you’ll be given local anesthetic. You’ll also be lightly sedated. 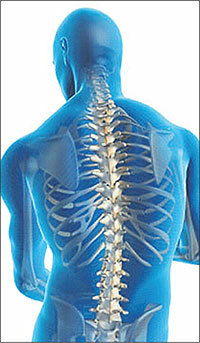 Sometimes, vertebroplasty is performed at a neurospinal practitioner’s surgery. However, you may be referred to your local hospital instead. Your treatment is likely to be undertaken on an outpatient basis, and you will not need to remain in the hospital or clinic overnight, unless there is a specific reason for doing so. A small biopsy needle is used to gain access to the spine. This is guided through the skin using an X-ray. Then, specialized bone cement is injected directly into the fractured vertebra, which fills the spaces between the bones. This helps to stabilize the bone, preventing further pain and discomfort. The cement takes about 10 minutes to harden. After the treatment is complete, the puncture site will be covered with a bandage. Immediately afterwards, it’s advised that you rest for at least 24 hours. You can return to normal activities gradually; going at a pace that feels comfortable. You may experience a level of soreness for a few days afterwards, but this can be relieved with a cold compress. Vertebroplasty enjoys a good level of success. Most patients report a reduction in pain afterwards, and increased mobility in the back. If you’d like to find out more about this procedure, simply get in contact with Neurospinal Associates today at 941-794-3118.